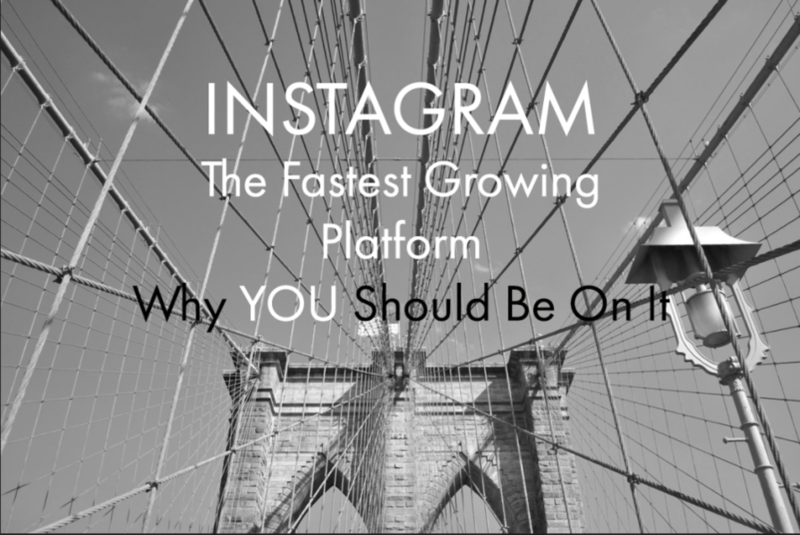 Instagram is the fastest growing social media platform in the United States. In 2014, its user base grew 60%, bringing numbers up to 64.2 million. More than half of internet-using young adults (ages 18-29) use Instagram. Half of all Instagram users are on the site daily. In other words: Instagram users are committed to the platform. Perhaps one of the most exciting things (for brands) about Instagram is that people are using it everywhere and always. As a mobile-based social network, Instagram gained an automatic “in” with the rise of smartphones. It’s the go-to platform (especially for Millennials) as they fall asleep, wait for a friend, or watch TV. With short, visual, easily digestible content, Instagram is the perfect platform (on the perfect device) for filling in those hundreds of fleeting idle moments that make up a day. Also, brands that are able to present well visually can see a huge return on their time/resource investment in an Instagram account. Even if you’re a complete novice to social media marketing, you’ve probably used or seen Instagram. But here’s what you need to know about the platform from the marketing perspective. Instagram has a much higher click-through-rate than Facebook. Facebook engagement has plummeted, as more companies have created Pages over the last few years, thereby forcing Facebook to regulate what gets shown in users’ News Feeds. With Instagram, however, all posts are presented equally. Learn what aesthetic works. This infographic provides some great statistics-backed insights on what users like and don’t like in a photo. Brands who do Instagram marketing the right way are capitalizing on the platform’s ability to be culturally relevant. See the previous BuzzPlant blog post on using GIFs on Instagram. Also, brands that know how to use emojis in an appropriate way can win big on Instagram. In short, Instagram is a very human platform. Not only does it pack one of the biggest ROI punches in the current social media climate, it’s also one of the top native spaces for many demographics.